We're getting into the season of expos now, and Nintendo of America has confirmed its attendance at WonderCon, which takes place this weekend (18th-20th April) in Anaheim, California. The big N will have five games on show, including those recently released and on the way soon; one is a rather hyped Wii U title. If you're planning to attend it's all happening at the Anaheim Convention Center — unsurprisingly — and tickets are still available for Friday and Sunday from the official website. We bet the Mario Kart 8 queue will be pretty popular. @shigulicious I don't expect we're gonna see anything of X for a long time. If we've only got a couple of gameplay teasers and not even a name yet, there's no way it would be ready and localised for the public! It would still be cool, though! It'll be popular, sure, but having only one Wii U game seems a bit odd. With this number of games, Wii U isn't doing well.... Heres an idea, buy either Sega or Square Enix or Capcom. Wondercon is not that big on games, why would there be any special announcements or loads of games to play there? People got all angry and insulting about the Pax East non-attendance and that event turned out to be a snore fest (unless your an indie dev networking) with lots of others also skipping it. I'm sure most of you don't go to conventions so dont understand the point of them. Attending a convention and sitting at home waiting for announcements and news to leak are total different things. Most people don't go for news or 2 mins of game playtime etc, its the whole experience of the convention and the people you meet. That's said London comic con is next month and Im sure there will be some official or unoffical Nintendo shenanigans going on to make it a fun event as always. I just want to know - seriously - why Nintendo can't put the MK8 demo on the Wii U eShop? Hasnt it been playable since E3, about 10 months now? They have to know Wii U owners would be thrilled just to get the news the demo was coming. It could get its own ND for crying out loud, the W101 demo had its own ND. Wii U owners just got hit w/ news we'll have to wait at least 3 months longer to get SSB than 3DS owners. And W_D is delayed (not their fault but it still is). Throw us a bone, earn some good will w/ whats left of your Wii U fanbase. It isnt that hard, just try. Is a demo really too much to ask? If Nintendo were a spouse it should be sleeping on the couch. Nintendo's lack of demos for 1st party games is stupid. One oval track for Mario Kart with one Kart would still be much better than a 3 month wait for any non-Lego games and would only make people desperate for the real game. It would barely affect their sales at all and would improve sales of pretty much every game on the eshop at the moment. Lucky so and so lets us know next week how it is. @Dreamz Why is it a fail? What game do they have to show off other then Mario Kart 8? Thats what there whole presentation is about, what did you expect???? @Nintenjoe64 "I think they want Wii U to fail so they can start again "
I'm legit starting to think this same thing. I will be 100% convinced based on their E3 showing (or lack thereof?). If there isn't like 4 or 5 megaton announcements, I will declare this thing dead in Nintendo's eyes. Which is sad for the consumers of Wii U and also the devs that actually did commit early on and have continued to follow through on their end. What is with the trolling in the beginning of the comments? What other games would players really want to see on Wii U? 3D World? Tropical Freeze? I'd rather Nintendo have one game playable on multiple machines, than for there to be a really long line on one machine just to play Mario Kart 8. Just because they are only showing a single Wii U game doesn't mean their Wii U presence will be small at all. I expect there to be multiple stations (perhaps even demoing online multiplayer across machines). This is a comic book convention. I have a friend who will have a booth there to pimp out his comic book. Why does anyone think Nintendo would make an announcement about new games at this convention? My thoughts exactly. My buddy goes to this every year, and he's a gamer, but his reviews of the event are all about comic books. At the booth, everyone's gonna run in and start the huge line for Mario Kart and Kirby, and glance at Yoshi's New Island and Disney Magical World, then go back to Kart 8. No idea about the others. Think Capcom would be more than people think to buy. "If current trends continue come the next gen Sega would be better positioned than NIntendo to make a new system" Are you insane? Not surprised that they wouldn't show much at a small show right before e3. If Ninty hits it out of the park there, with lots of great footage of Zelda U, Smash U, Bayonetta, Hyrule Warriors, Yarn Yoshi and X, along with a couple surprises after just having released Mario Kart, I'll consider the Big N "back in the game"
I really hope Yarn Yoshi is 3d, along the lines of DK64 and not just another Yoshi's Island. And Zelda U NEEDS to be "the next big thing", to people other than the Nintendo diehard. @LetsGoRetro but why couldn't they make Bayonetta 2 playable? its been seen and its almost done from what we've seen. Some of you are going to need to come to terms with the 3DS being Nintendo's lead platform this gen. They're not going to announce anything before E3. Not sure what some people are expecting. who is actually going? as far as I know this has mostly been a comic book convention with all kinds of things to buy... so Nintendo being their is actually a good move, it gets packed! By the time the Wii U gets a decent library of games we'll be talking about the 10th next-gen console. 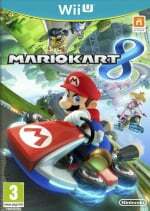 I played Mario Kart 8 last year at the Best Buy E3 2013 experience and it was very fun and accessible title. I am not anywhere near WonderCon in CA to attend, but for any of you that are, I recommend you make the trip. 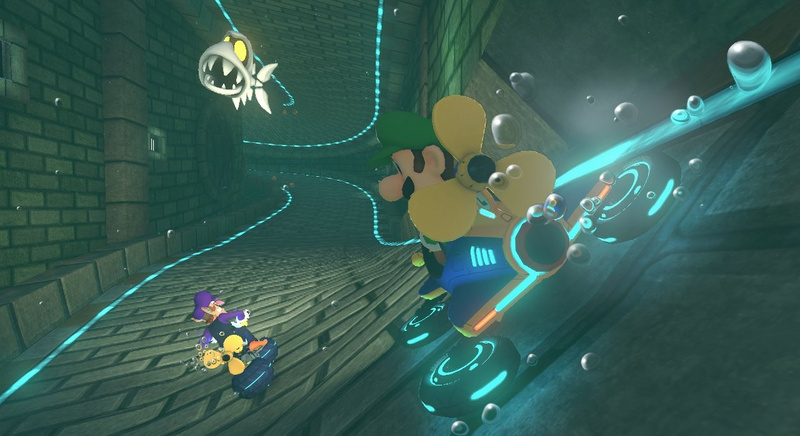 You can enjoy some MK 8 early, and then move on to other platforms for whatever games they have on playable display.